David has written numerous articles, including “Diversification Returns and Asset Management” with Eugene F. Fama, which won a Graham and Dodd Award of Excellence from the Financial Analysts Journal in 1992. 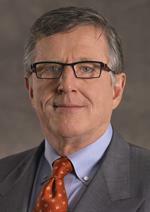 In 2012, he was awarded the Outstanding Financial Executive Award by the Financial Management Association International for his background and accomplishments in applying financial theory and research to the practical world of asset management, particularly for his pioneering work in indexing and small capitalization investing. In 2010, InvestmentNews named David as one of “The Power 20” in the financial services industry. David received his MBA from the University of Chicago in 1971. He also holds an MS and a BA from the University of Kansas. (336) "The most important thing about an investment philosophy is that you have one you can stick with. " (55) "You've already paid for the risk, so it might be good to stick around for the expected return."